Your living room or family room gets a lot of use on a daily basis and ensuring you and your guests have a comfortable place to relax and put your drink down is essential. Coffee tables are one of those furniture pieces that you don’t think of much until you sit down at a couch and realize there isn’t enough space for your legs because an over-sized coffee table is in the way. 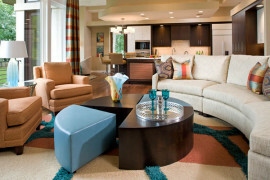 Round coffee tables enable you to maximize space conveniently and beautifully. If you are confused on how to choose the best round coffee table for your relaxing area, here are a few tips to get you started. Coffee tables are designed to accompany the surrounding seating furniture, from your lounge chairs to sofa, ensure your coffee table mimics the same design style. For long sofas an accompanying long coffee table works well but with round coffee tables consider choosing a larger diameter table. Ensure the height of the table is comfortable for guests to place a drink or book on with just a slight arm reach. If your guests have to get up to use the table, you need to get another table or think about re-positioning your seated furniture. The design trick with round tables is determining how much walking space there is around the table. Guests should feel comfortable in walking past seated guests, without feeling like a movie theater and saying “excuse me” for seated guests to have to stand! Assume at least 1-2 feet around your coffee table, more or less depending on the seating arrangement. Wingback and captain chairs can have smaller diameter tables amongst an arrangement that enables more space to walk clearly by. Each living room will work differently, also ensure you aren’t placing the table in the middle of a main walkway to another major room. This can cause an unexpected tripping hazard. Only place coffee tables near a chair or sofa. 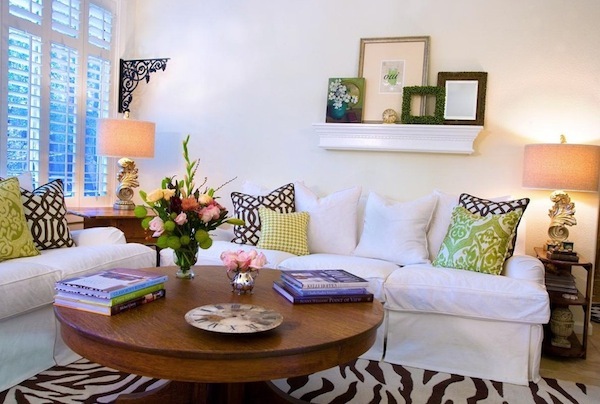 Round coffee tables naturally take up less space and are ideal for smaller homes. 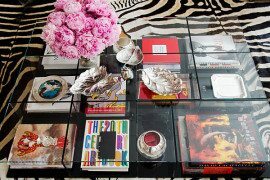 Just because your coffee table is small doesn’t mean it has to be boring! 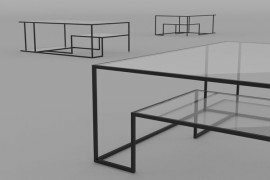 Choose from decorative wood, metal or glass coffee tables. Glass will make your table almost disappear and may create the illusion of a larger space. Also use your coffee table as a focal point and choose an ornate decorated or artisan variety that is detailed with gorgeous inlay, mosaic tiles or other decorative materials. 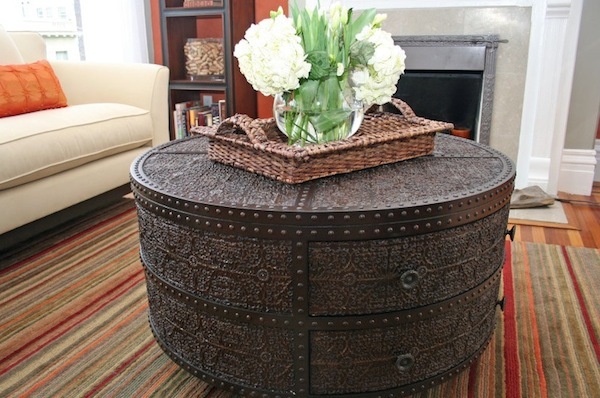 Many people have chosen to use a round ottoman for a coffee table. This is a great idea if you want to bring a softer appeal to your seating area with an upholstered look. After all, there is more than one option when choosing your round table. If you are trying to save space in your home, you will want to make good use of any space available and using a round coffee table can create a visual and functional solution for seated guests. 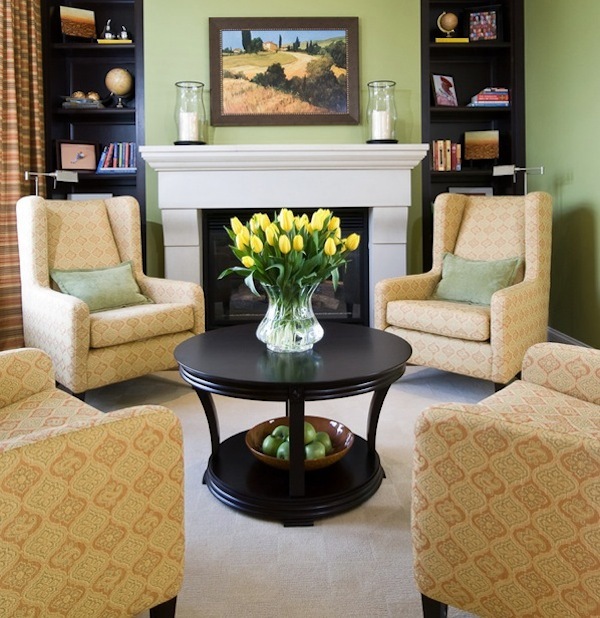 Use these tips when choosing the perfect one for your living and family room. 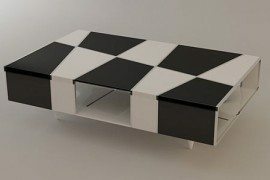 If you are feeling creative think about repurposing found furniture in other areas of your home for your new coffee table. 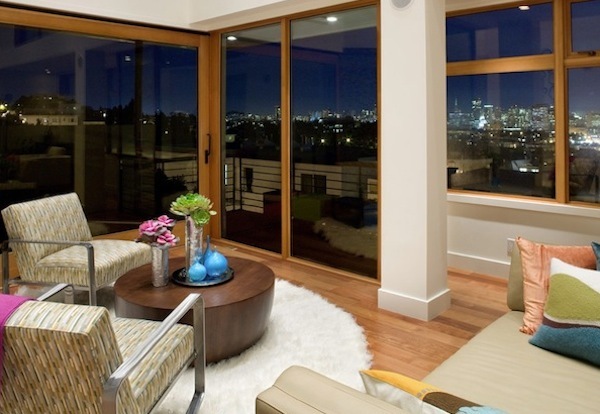 You never know what could use a new home in a new room!